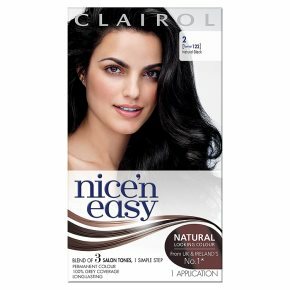 "Nice'n Easy Natural permanent hair colour adds intense shine, helps lock in natural looking colour and protect hair between colourings. Our colour with Clairol's exclusive Colour Blend Technology™ expertly blends 3 complementary tones into every shade. The result? Colour so natural looking it's UK's #1*. *Kantar volume sales Jan 14 to May 15"